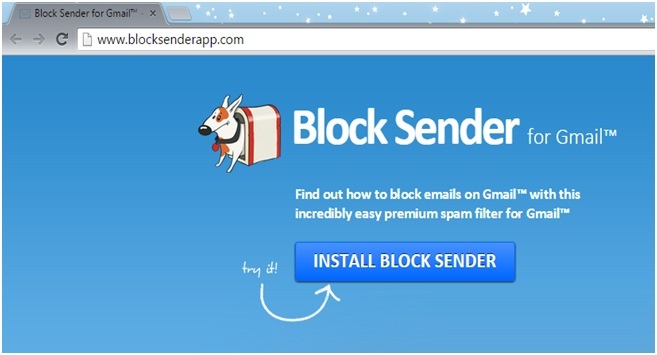 1) Go to http://www.blocksenderapp.com/ and click on the Install button. 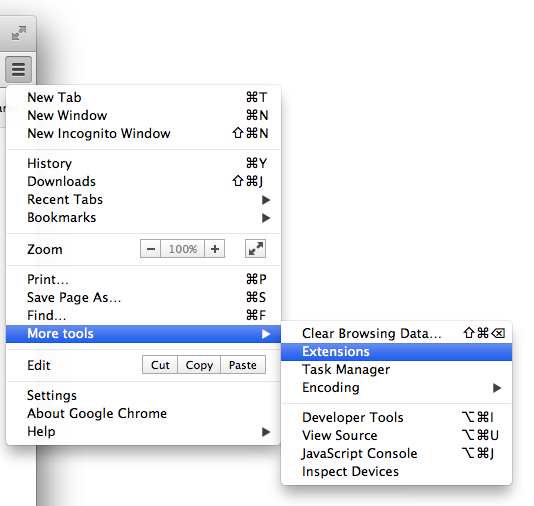 2) After the installation, just go to your Google Chrome options on the top right hand corner. 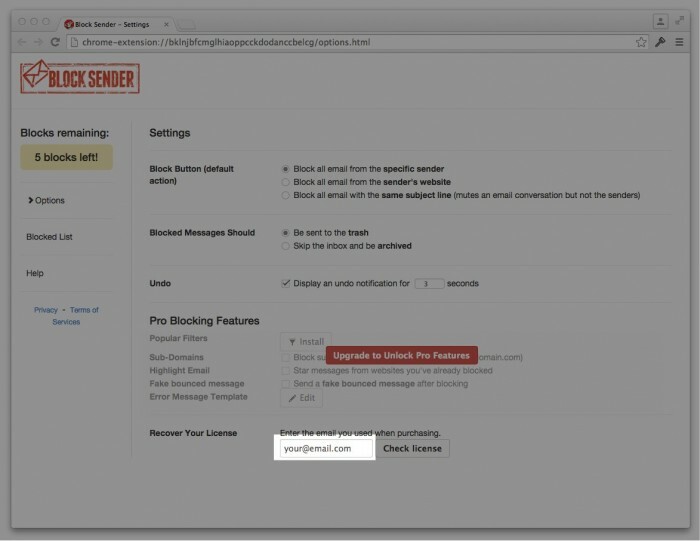 4) Click on options on the Block Sender application. 5) Type in your PayPal email and click Check License. 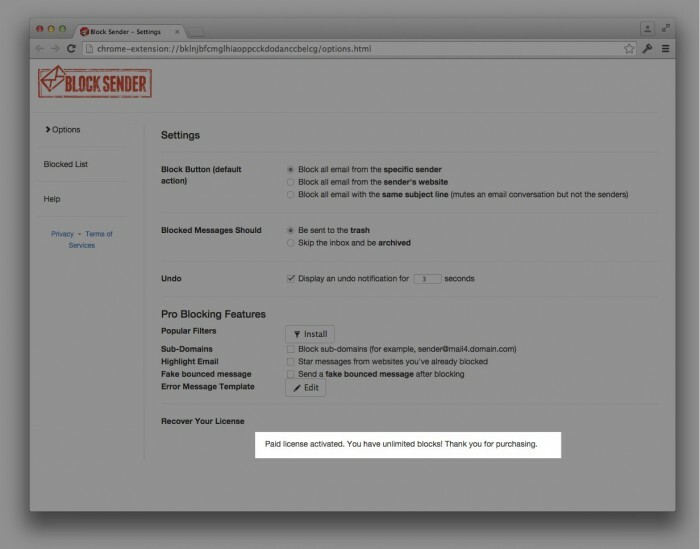 6) You should get this message confirming that the license has been activated.